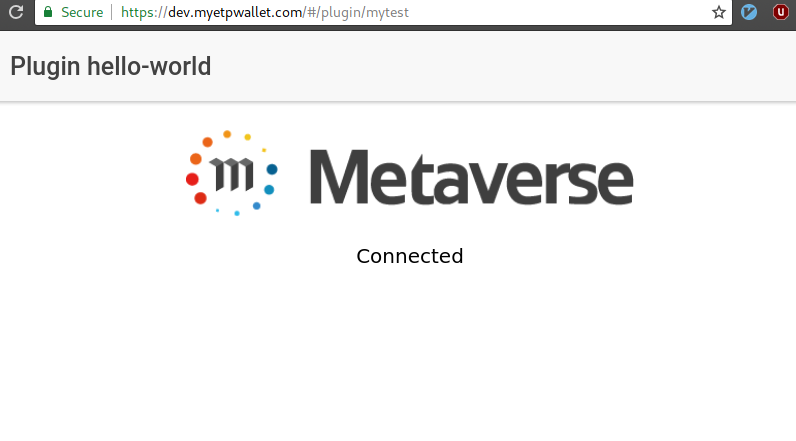 You can extend the Metaverse lightwallet functionality by creating your own plugins. Also you can use other third party plugins or share your own with others. To make the creation and development of plugins even easier we created a CLI tool that can help you to get started. Then you can use the mvs-plugin-api command globally. To create a new project you can use the init command. Now go to your project folder using cd hello-world . You should see a message that your server has been started and you can access the server at http://127.0.0.1:8080. 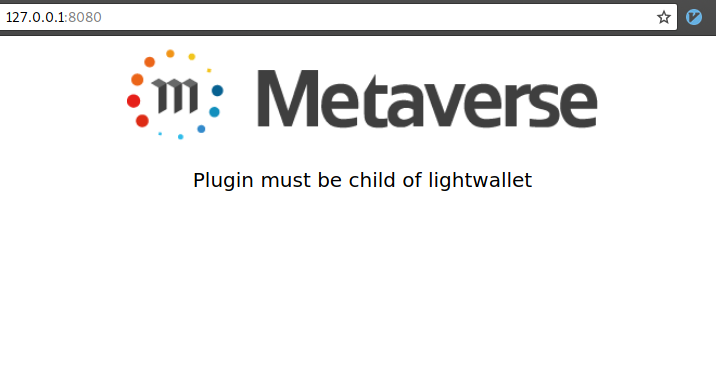 If you access it just from your browser it will indicate you that it has not been opened within the Metaverse Lightwallet. You can also make use of this detection and make the same URL accessible for regular users using their browser. For example you could have a read-only version of your plugin. Open your wallet in testnet mode and go to Settings. You should have the option to add an external plugin. Next enter the path to the config.json file. By default it should be located at http://127.0.0.1:8080/config.json. Next you should see the information page for your plugin and the permissions it requests. After you accept the plugin you should have a new item in your menu. If you open the plugin you should see the same website as you visited previously directly in your browser but now it should indicate that it is connected to a wallet. To learn about the interaction with the wallet you can see the documentation of the Lightwallet Plugin API. As the plugin feature is still experimental expect the API to get improved quickly and don’t hesitate to request features you need.